Make Yourself Free from Regrets - Something New Everyday! 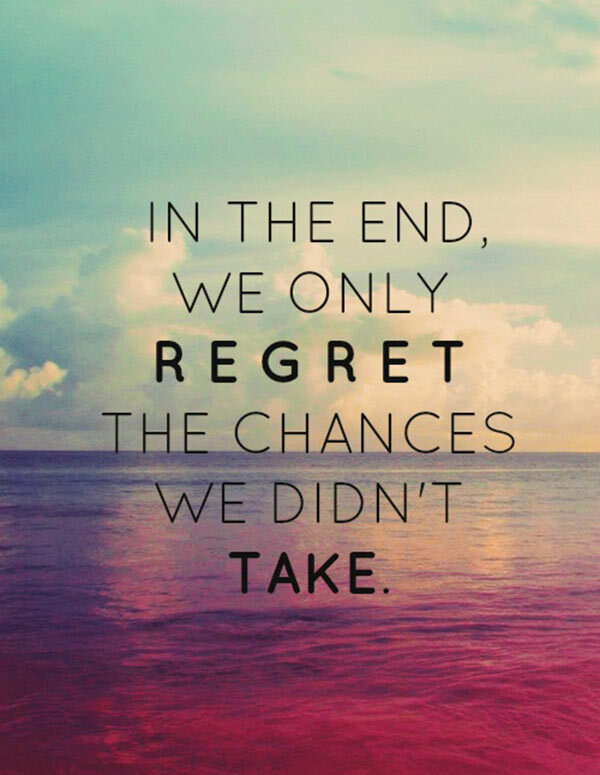 When tomorrow is here, what will you regret not doing today? Five years from today, what will you regret not doing right now? Regret has no cure, but it can easily be prevented. And the time to do that is now. The most stinging form of regret is the regret for opportunities not seized, for actions not taken. Prevent regret in the future by making the most of today. Sure there will be disappointments. Yet when you sincerely and honestly give your very best effort to life you won't have to find yourself wondering "why didn't I?" Live fully in the present with an eye toward the future. Don't waste your time worrying about tomorrow. Rather, live now in such a way that will make tomorrow the best it can possibly be. Accept the relatively minor inconvenience and discomfort of taking disciplined action today, and tomorrow will be wonderfully free of regret.